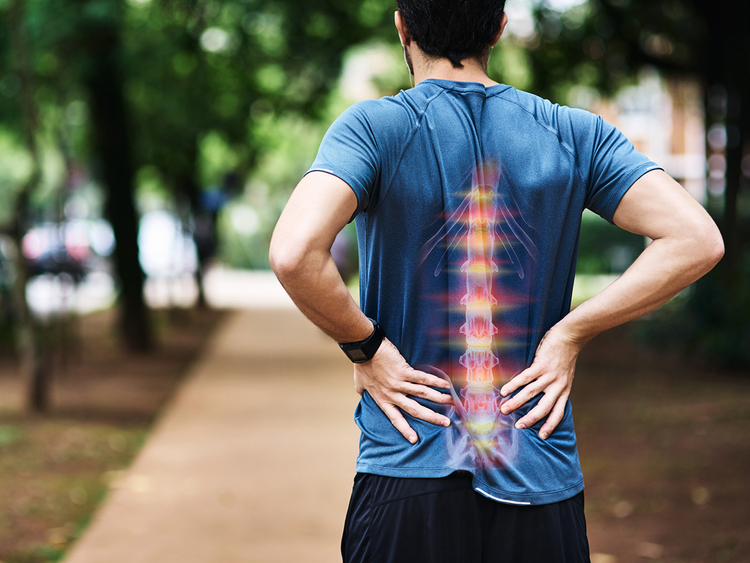 There is no single best exercise for lower back pain, the key is to build up strength in your core and glutes, which often tend to be weak; consequently, the lower back works overtime to compensate. Strengthen your core and relieve your lower back. Your core is made up of a group of muscles that work together to support and stabilise the trunk of your body. While we often think of our core as our abs, the abs are only one part of the equation. The core wraps around the entire body, and includes muscles like the rectus abdominus (the abs), obliques and the muscles in your lower back. When the lower back is overactive during the core exercise, it can cause the back muscles to tense up, which can cause pain. There are some types of core exercises that most commonly cause lower-back pain, but you can try to modify them. Exercises such as low leg lifts and leg rises (pictured above) cause hyperextension of the spine. The most important thing people should keep in mind is make sure that they have base core strength. Be careful with V-Crunches, or V-abs as the back doesn’t have enough strength. Always listen to your body and brace your core doing this exercise. When the lower back is overactive during the core exercise, it can cause the back muscles to tense up, which can cause pain. In a case where you have back pain try to avoid dynamic movement and stay in a static position. You can modify a side plank (pictured above) into a kneeling position. That will help you to feel oblique muscles more without pressure on your back. For obvious reasons, it’s kind of tough to stick with any sort of ab-strengthening regimen such as side crunches (pictured above) if you just end up in pain. Try to lie down on a floor so that your lower back is on the ground and lift only your shoulder and shoulder blades towards the opposite knee. You will reduce range of motion and protect your lower back from pain.